Dichroic Wade (2016) is an interactive artwork by Jen Seevinck installed at The Works gallery in San Jose as part of a curated and juried show for the international premiere conference on ACM Computer Human Interaction CHI, where it won an award! 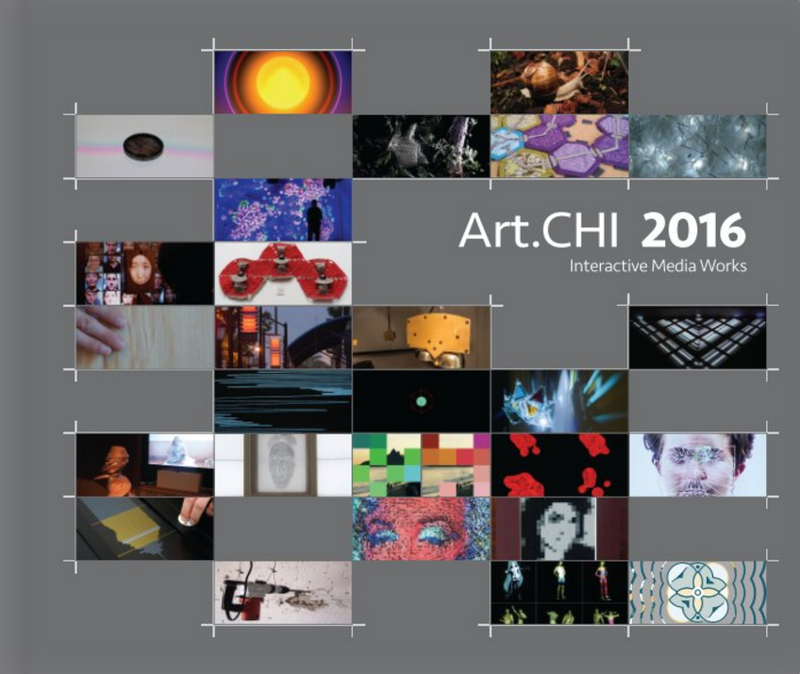 An exhibition catalogue and a CHI proceedings publication accompany the installation. Dichroic Wade is the most recent outcome in the Light Works body of work (more below) and once again renders local weather data into concrete physical light. Dichroic Wade differs from predecessor Light Waves in sensing ranges of audience proximity (approach) to the work. Turbulence and shimmering can result from this combined visualisation. The artist gratefully acknowledges funding assistance from QUT and CHI, coding assistance from Lachlan Currie, video production by Peter Chan and sound by Buukwerm musik. Light Waves 2016 interactive art system by Jen Seevinck was installed at the Asia Pacific Design Library (APDL, SLQ) at Southbank, Brisbane in early 2016. This work developed from 'Light Currents' and this installation supported the evaluation of participant experience of the work, in order to inform creative practice understanding and understandings of interactive art. It is the second part of the 'Light Works' series of work. Photography by Anthony Hearsey 2016. Light Currents 2015 interactive art system by Jen Seevinck installed at Brisbane Powerhouse Theatre (BPH) 2015. This work came out of the 'Made from Light' artist residency project run by BPH and The Edge at the State Library of Queensland. It is a site specific installation whose concept responds to the Brisbane river outside the theatre, seeking to effect the visual experience of light on the water. This is through affecting movement of reflective, dichroic glass tiles by the changes in wind speed on the Brisbane river outside. Reflected light imagery is also informed by the movement of people inside the theatre - the tides of theatre goers from various performers. Light Currents is the first part of the Light Works series of work, which includes Light Waves and Dichroic Wade (2016). Photography by Anthony Hearsey 2015.